Previous post: Work Experience Bursaries Available! 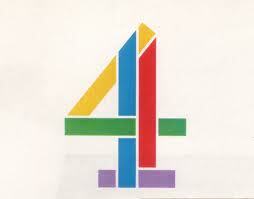 On Wednesday 1st May the Countdown team will be visiting The University of Manchester looking for future contestants for the popular Channel 4 programme. Hosted by Nick Hewer, with co-presenter Rachel Riley and resident dictionary expert Susie Dent, Countdown was the first programme to be broadcast on Channel 4 and is one of the longest running game shows in the world, celebrating over 30 years and more than 5000 episodes. Would you like to appear on Countdown in 2013? If you love a Conundrum challenge and want to test your maths against the clock then book an audition time and see if you have what it takes to be the next Countdown Champion. The audition will be very informal, lasting about 45 minutes, and you will be tested along with 5 or 6 others, on your ability to play the Countdown game. Please note that unlike the programme, there will be no visual aids (TV monitors etc). The letters and numbers will be spoken out loud and you will have the use of a pen and paper only. Please remember to bring some form of photo identification with you (either a passport or driving licence) as we do need you to prove you are who you say you are! The auditions on Wednesday 1st May will be in G209 of the Alan Turing Building. If you would like to book a space on one of these sessions, please email holly.simpson1@itv.com.